It is an epitome of East Meets West for Global South’s event on the 18th January 2017 at JustCo 120 Robinson Road. Adrian Avendano, who grew up in the bustling city of New York, founded Global South. An avid traveller who has travelled to over 60 countries, it is no surprise that Global South was first started in the Big Apple itself. The main goal of Global South is to connect emerging tech ecosystems from Latin America, Africa, Middle East and ASEAN countries via European and US ecosystems. This creates an incredible opportunity to innovate and build as the communities shift from the industrial revolution to the Internet revolution. 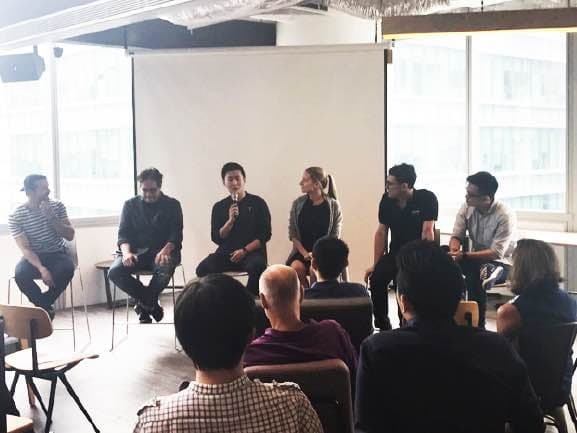 It was indeed an international session as panelists with impressive backgrounds, from tech to angel investors – Golden Gate Ventures, Grab, Nest Ventures, SeedPlus / Jungle Ventures and Dextr graced the event with their knowledge and experience in this revolutionary movement. No doubt it was an incredible 90 minutes for the 20 attendees as the panel shared details and ideas about the revolution. Attendees were seen to be in deep discussions during the mingling session as more questions were thrown to panelists and fellow enthusiasts privately. It won’t be a surprise if these attendees would be a part of the fast growing Global South community of 22,000. Thank you Global South for choosing JustCo to be a part of this fantastic event!